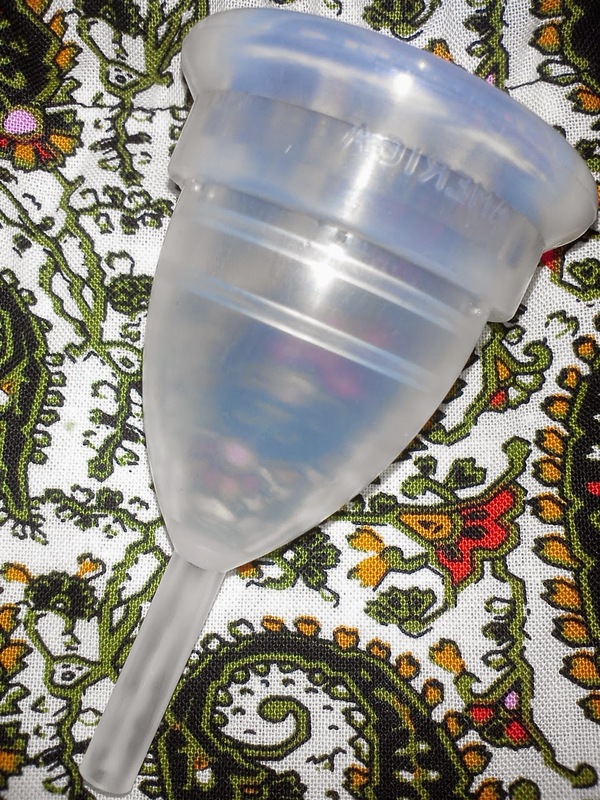 My new found passion for menstrual cups! Reviews, opinions, pictures. Along with my Keeper, I received the Keeper Moon Cup. It is made my the same company as the Keeper. A double THANK YOU is in order for this amazing company for sending me both products to review. This review will be shorter than the last because I won't double up on the details concerning the company and the conversation I had with the amazing Elizabeth from Keeper. I urge you to read my previous blog to get those details. One of the things I love and appreciate is that this is an American made product. There are so few products that are manufactured in America and I love that about this company! 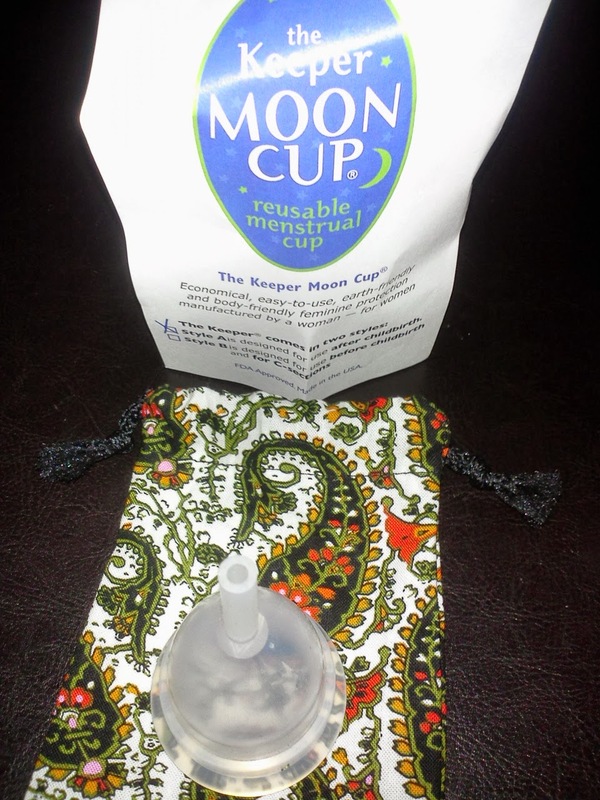 Just like the Keeper, I am in love with the pouch the Keeper Moon Cup came with. It's paisley! I love paisley. Again, there is no company markings on the pouch which is very helpful when you're trying to be discrete. The Keeper Moon is transparent and unlike the Keeper, it is made of silicone. That's another benefit to the Keeper company, they offer both materials. The overall shape, markings, stem, and firmness is almost identical to the Keeper. So basically, if you are choosing between the two it will only come down to your preference in material. Personally, I prefer the gum rubber. Especially after learning how the gum rubber (latex) is harvested. It's pretty fascinating. I hate to keep comparing the Keeper with the Keeper Moon Cup but since they are from the same company, they are strikingly similar. Twins. 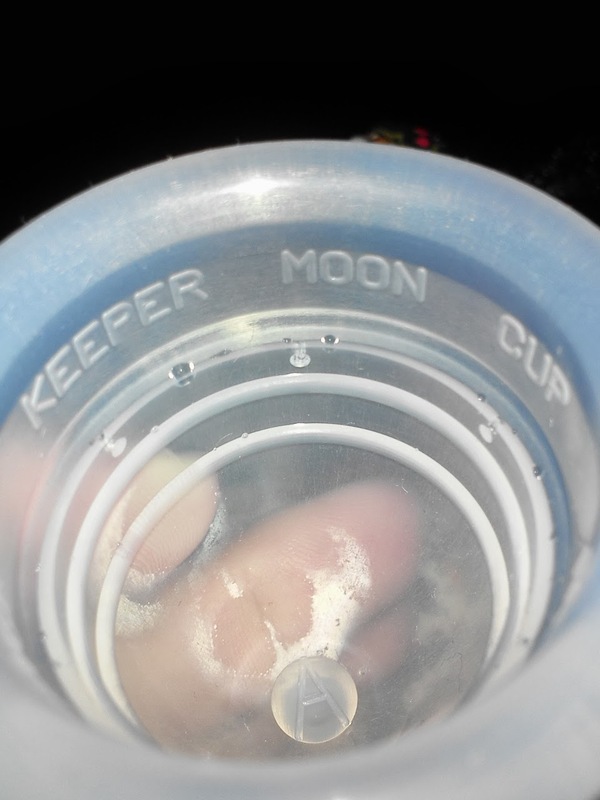 The inside of the cup has the same stability lines as the Keeper as well as the words "KEEPER MOON CUP" as photographed on the left. On the opposite side of that the words "MADE IN AMERICA". I love seeing that! The outside of this cup is completely smooth for our comfort. So... trying it out... again, I used the "7 Fold" which was successful again. I have never been able to insert a cup in under a minute. This is the first time! I instantly felt the seal, and confirmed it, when I used the technique provided in the literature. I twisted it and pulled on the stem a little to assure the seal was perfect. I love the Keeper Moon Cup! I would highly recommend it to any cup user. This would even make a fantastic first cup. I would give it 8.5 out of 10 stars! Please visit their website to learn more or to order your very own Keeper Moon Cup!